2016 was a busy year for our firm and it is looking like 2017 is shaping up much the same. Feel free to contact us or visit our office in Function Junction to start planning over these winter months for your new construction project in the Spring. At Twin Peaks Engineering Ltd. we aim to provide value for money consulting structural engineering services within the Whistler, Squamish and Pemberton. Winter has arrived in the Sea to Sky Corridor. Our clients and contractors that we work with are busily trying to get everything buttoned up before the Christmas break. Whilst construction can continue over the winter months, progress is definitely slowed by these cold and snowy conditions. We have recently experienced a polar vortex period with temperatures down to -15 degrees celsius. This has proven difficult for contractors to pour concrete in these cold conditions. Heat and thermal blankets have been required to ensure that the concrete has cured correctly and achieved the design strength required. Insulated concrete forms have come into their own in these conditions allowing for cold weather concreting to proceed utilising the in-built insulated form work. See link below for more details on this great product. As we move into the holiday period, the new year is the perfect time to get your design finalised for your renovation or new build planned for 2017. 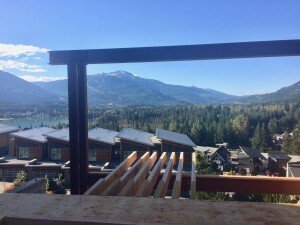 Contact us today or come by our office in Function Junction to see how we can help out with your Consulting Structural Engineering needs in Whistler, Squamish and Pemberton. Twin Peaks Engineering has a new Home! 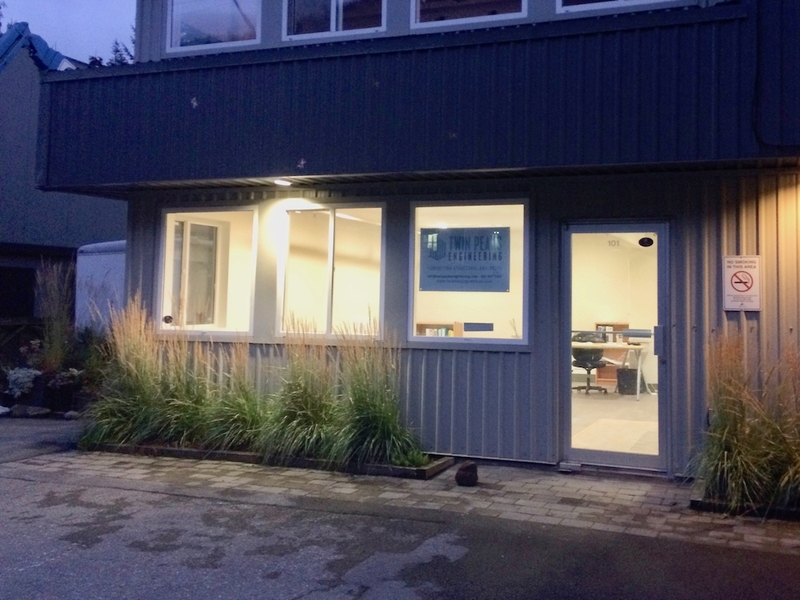 We are excited to announce that Twin Peaks Engineering Ltd. has a new office in Function Junction, Whistler, BC. 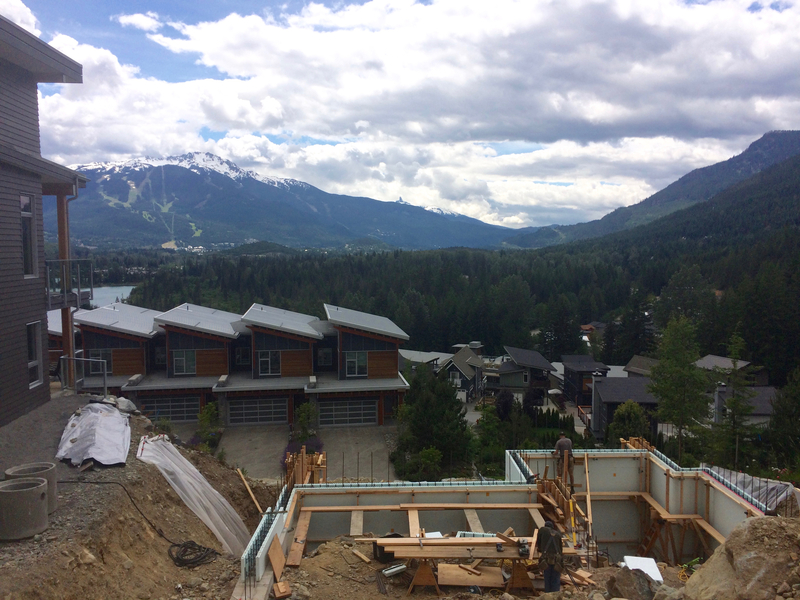 Feel free to drop in at any stage at 101-1080 Millar Creek Road, Whistler, BC to discuss ongoing or new upcoming projects. 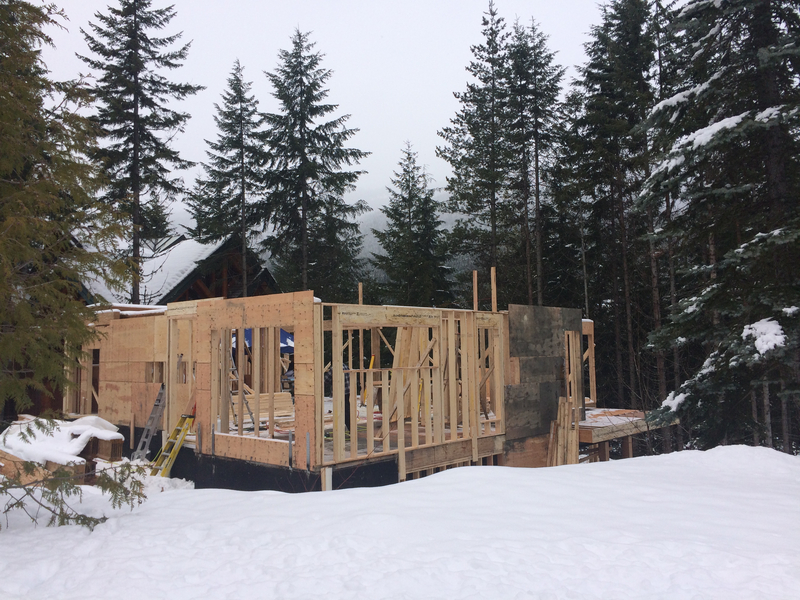 It has been a busy building season for 2016 that is very quickly coming to an end as the winter approaches and the snow is about to fly. Many of our clients are busily trying to finish framing in order to ensure roofs are complete prior to the winter. 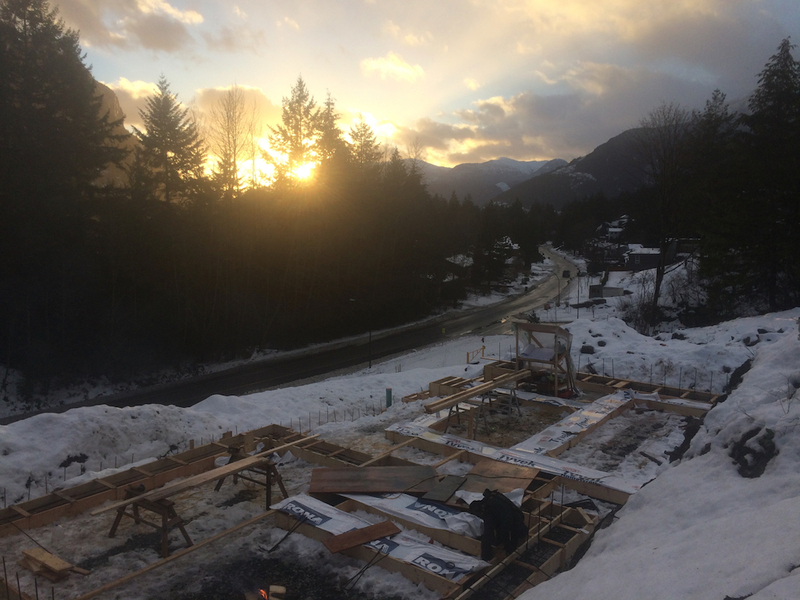 We will be updating our website over the winter period to showcase some of these amazing builds on difficult sites that help encompass the Whistler lifestyle that we enjoy in this great mountain town. We are starting to plan and allocate resources for upcoming projects for 2017. The quieter winter months are the perfect time to plan your new build or renovation and ensure that your building permit is in place as soon as the snow melts in the spring. 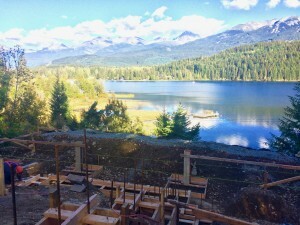 Please feel free to contact us or drop into our new office at 101-1080 Millar Creek Road, Whistler, BC to discuss your upcoming projects and see how Twin Peaks Engineering continues to provide outstanding consulting structural engineering services within Whistler, Squamish and Pemberton. Don’t Miss the 2016 Building Season! 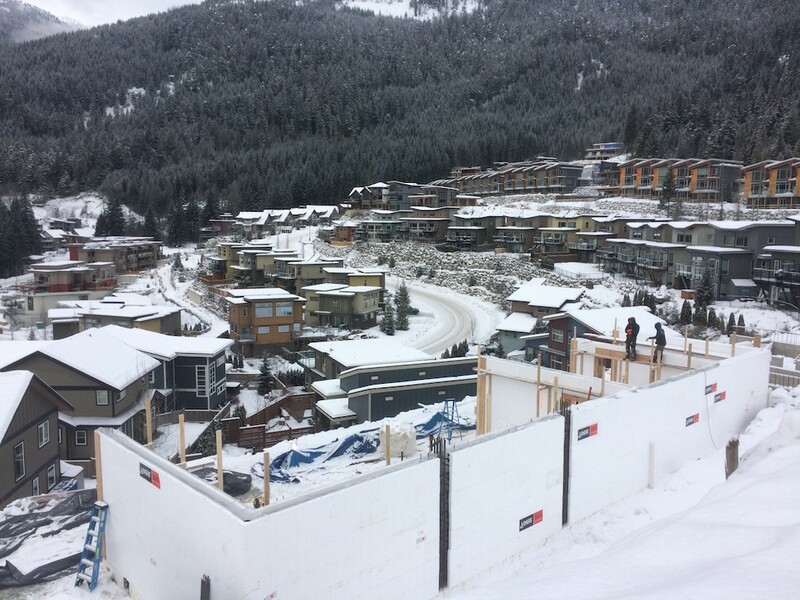 Although the snow is still falling, many building projects in Whistler, Squamish and Pemberton are still moving forward. If you are thinking of building or renovating in 2016, now is the time to start considering what you need to submit to the local Council Authorities to get your building permit approved on time. Typically the design phase of a project can be a lengthy process coordinating the client’s requirements between the relevant consultants. At Twin Peaks Engineering, we aim to provide value for money and work seamlessly with other design consultants in a timely manner, in order to ensure that the building permit package is submitted on time. 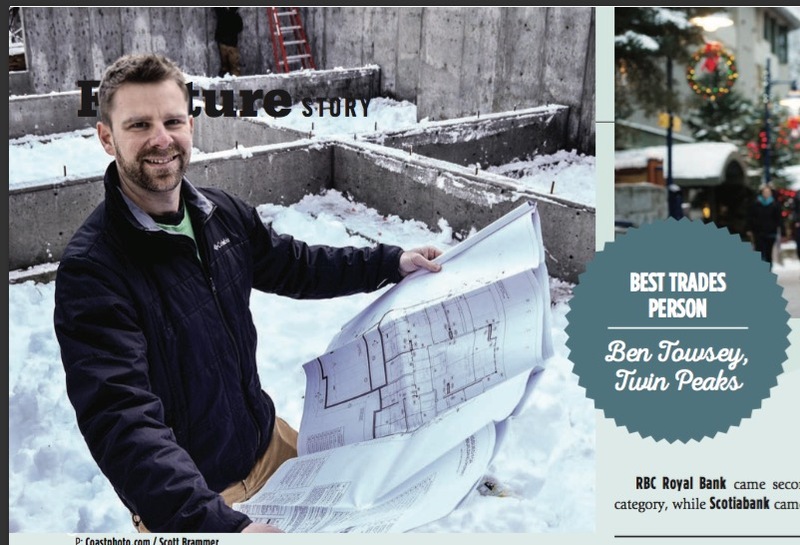 Past experience has shown that building permits (whether for large or small projects) have taken up to three months to be reviewed and approved within the Sea to Sky Corridor. This is not at fault of the local Council Authorities, but rather an indication of the shear volume of building permits that have been submitted. As this building season is fast approaching, we are seeing the same trends as previous years with a large number of new projects coming through requiring building permit submission. 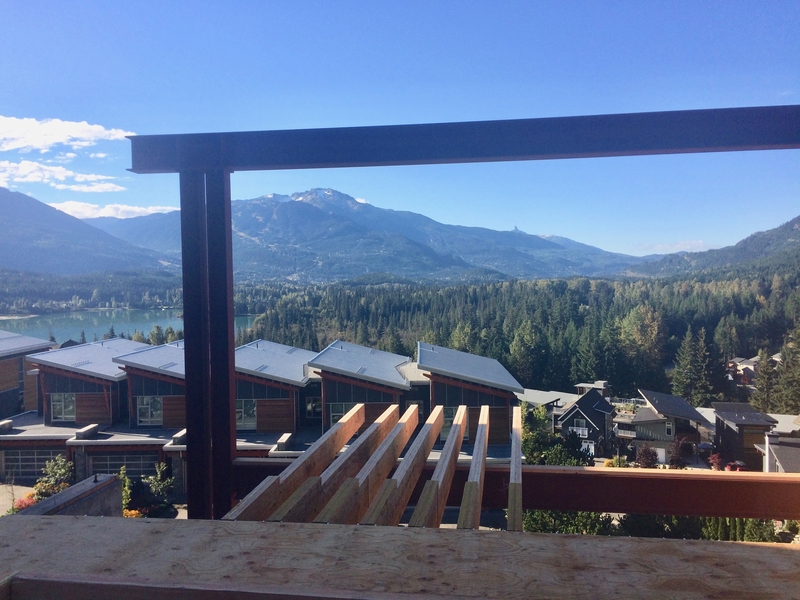 So, if you are considering utilising this 2016 building season, contact us here at Twin Peaks Engineering to find out how we can help you with your Consulting Structural Engineering needs within Whistler, Squamish or Pemberton for your exciting new project. 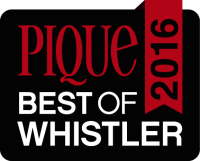 Twin Peaks Engineering is honored to be named in the Pique Magazine Best of Whistler 2015 – Best Trades Person. We would like to thank all our valued clients for voting for us. We continue to aim to provide the best value for money and customer service for all our customers for their construction projects. 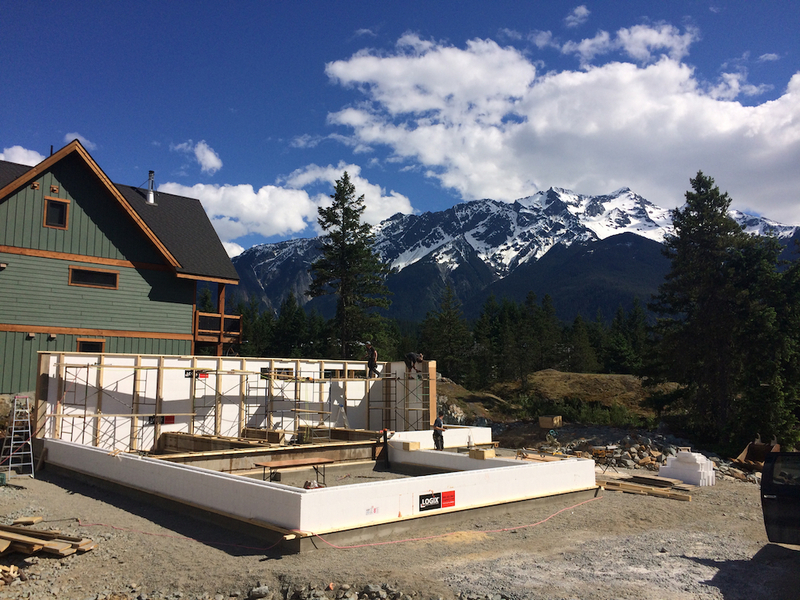 Feel free to contact us directly for all your Consulting Structural Engineering needs within Whistler, Squamish and Pemberton. 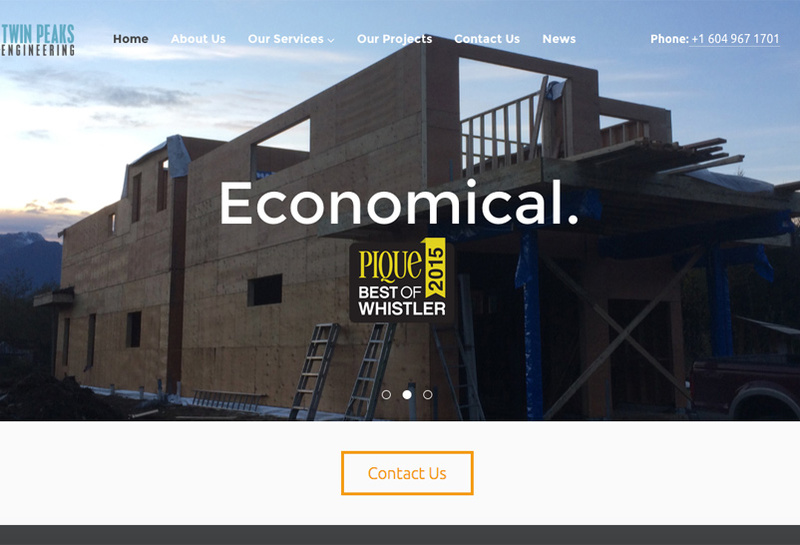 We are excited to launch our new website this month which has been created by local Whistler web design studio – Paper Moon Media . Feel free to visit our web page to review our past projects and get some helpful tips on planning processes. Please don’t hesitate to contact us if you have any questions or require some guidance on an upcoming project. We are happy to help out with all your Structural Engineering and Building Permit needs.